Probably like you, when I started out as a paintless dent repair technician many years ago, I was met with my share of dent tools that failed to live up to the high standard of quality I invest in my work. I spent loads of effort and money on PDR tools that bent out of shape, rusted, or simply couldn't access the dent. Finally, I knew I had to make a change. It was time for a serious paintless dent repair professional to create some tools that stood up to the grueling demands of the job. The mission of Dentmagic Tools, Inc. is simple: make great, reliable PDR tools and equipment for a great price and true value without compromise. Dentmagic Tools accomplishes this by focusing on two specific areas. The first one of these focus areas is geared towards genuine innovation and efficient design. 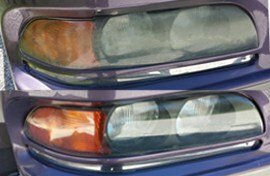 Our precision paintless dent repair craftsmen have more than decades worth of experience in terms of designing, manufacturing, and supplying the highest quality PDR tools available in the industry. 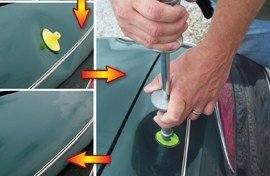 Here at Dentmagic Tools, Inc., we find solutions to our customers problems, whereas, other paintless dent removal tool manufacturers produce a line of tools that are made from a cookie-cutter template. Many suppliers simply do not build custom PDR tools according to their customers specifications. The second key area in which Dentmagic Tools strives for perfection is personable and reliable customer service. Dentmagic Tools maintains the largest inventory of quality paintless dent repair tools in the PDR industry so we can allow our customers the option of same-day shipping on most orders. PDR tools that have been manufactured by Dentmagic Tools, Inc. can be found throughout the many auto-assembly plants of Volkswagon, Nissan, Ford, GM, Chrysler, Toyota, and BMW, as well as over 25,000 paintless dent repair technicians around the world. Whether you are just beginning a career in paintless dent repair or you are a seasoned PDR technician, Dentmagic Tools, Inc. has the tools you will need to get the job done. Dent Magic Tools Inc. is providing an ever changing dent repair market with cutting edge paintless dent removal tools, training and technical support. We want to share our knowledge, dent tools and training with YOU. We guarantee the very best value for your money. All our PDR tools are covered by a Lifetime Warranty. If for any reason you are not satisfied with your paintless dent removal tool purchase, return it within 90 days and claim a 100% MONEY BACK GUARANTEE. That's confidence! We value the ideas and feedback of our fellow technicians. We will treat you with honesty, respect and courtesy. That is synonymous with the way we do business. Take time to look through our PDR tool range. Then, test them out for yourself. Once you've experienced Dent Magic Tools quality, you'll never settle for second best! Dentmagic Tools, Inc. Products are all completely made in the USA, other than a few electrical resale items. We pride ourselves on the best quality and service in the PDR industry. Dent Magic Tools, Inc. provides a lifetime guarantee against breakage under normal usage on all our Dent Magic manufactured dent tools. Any PDR tools returned for any other reason must be returned within 90 days of purchase to receive a full refund. Try our paintless dent repair tools for 90 days. If you are not 100% satisfied with any dent tool, just return it for a full refund. 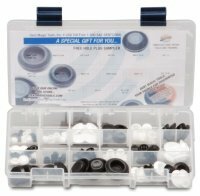 Available exclusively from Dent Magic PDR Tools and Training, Inc. is our unique "Try Before You Buy" option. Get some Paintless Dent Removal Training, use the tools, see customers served and get a real taste of this remarkable business opportunity! We are the only PDR Tool manufacturer that also offers in house PDR training!